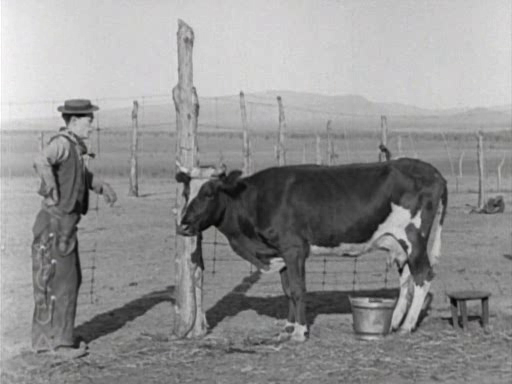 An inept new cowhand (Buster Keaton) tries to protect a cow (Brown Eyes) he’s become smitten with from being slaughtered. This surprisingly heartwarming tale of a gentle, hapless young man who becomes smitten with a cow (!) 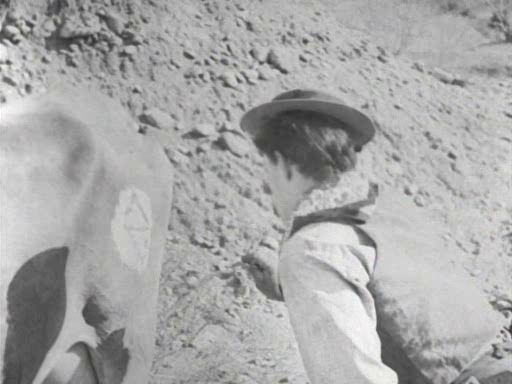 represents perhaps the most Zen-like qualities of Buster Keaton’s infamously stone-faced persona. At first we believe his “Friendless” is merely hopelessly naive and impractical, as he places a bucket underneath the udders of “Brown Eyes” and waits patiently for her milk to arrive. Soon, however, we begin to suspect a slightly different tendency at play: when collecting eggs, for instance, he quietly stands aside to wait for a hen to lay her final product; when tasked by a couple of prankster ranchhands with bull-herding some cattle into a pen, he does so elegantly and efficiently; later, when he realizes that a misplaced train full of cattle needs to be brought to the L.A. stockyards, he simply lets the cattle loose and anticipates they will follow him. (Do they? I’ll leave that spoiler for you to discover yourself.) Though this amiable comedy may not be among Keaton’s finest work, it’s an enjoyable outing while it lasts, and is recommended for one-time viewing. 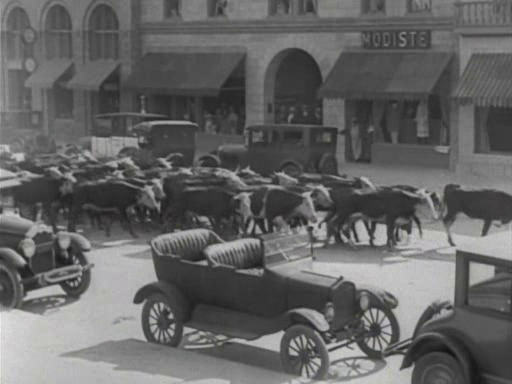 Note: It’s impossible to ignore how eerily reminiscent the final scenes in Go West are with the central sight gag in Seven Chances (1925) — released earlier that same year — in which Keaton’s hapless protagonist is followed by a “herd” of would-be brides. No, but it’s recommended, and certainly a must for Keaton fans. Simply because this film is somewhat unique among Keaton’s work, I’m going to once-must it. What makes this Keaton outing special is rooted in the touching/charming relationship his ‘Friendless’ has with ‘Brown Eyes’. 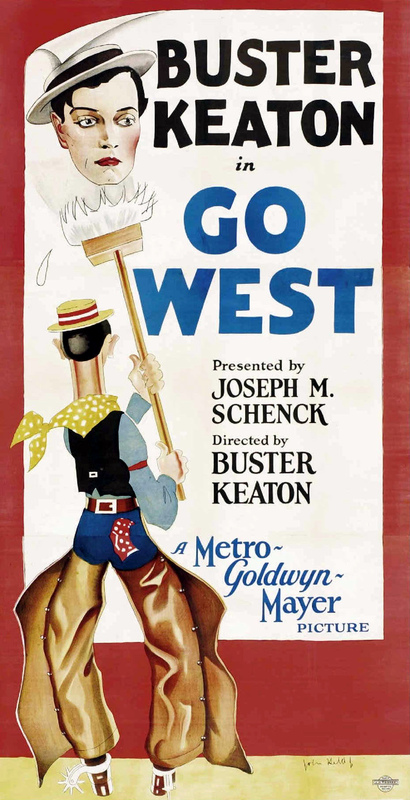 ‘Go West’ takes on a tone that’s rather different from what we usually expect from Keaton; Keaton doesn’t usually do ‘sweet’ in such an overt manner. Of course, what we normally expect from Keaton is here as well, but the combination is a rare change – and, therefore, very much worth a look. 1) Through keeping emotion all but removed from his film persona, Keaton is all the more successful at pulling us into him. As a screen presence, he doesn’t seem to elicit anything from the viewer – which is mainly why I personally prefer him over other performers in his league. He doesn’t encourage me to be on his side – or even laugh, really. His presentational, common-man self nevertheless tends to lead me to eat out of his hand.